We’re a new digital-first publishing company of romance, YA and fantasy fiction. 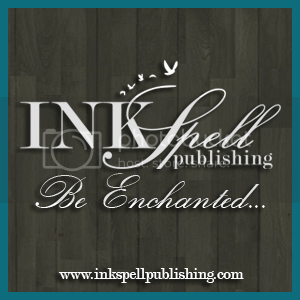 At Inkspell, our mission is to enchant our readers with spellbinding tales of magical worlds and lovers . Why? Simply because we know there is nothing better than a good book to make the moment worthwhile! And we consider the author the star of the show. Each author creates magic through their words that allows us to enter their magical worlds. High quality editorial support: Our editors are experienced and well-versed to provide excellent editorial services to our authors. We are always on look out for more talented editors too. Print and Digital book release: Almost every full-length book is published in both print and digital unless otherwise notified. We’re huge book snugglers and can’t think of a world without physical books. Dedicated publicist for each author: We believe strongly in the importance of advertising and hence, every book and every author with Inkspell is supported by a publicist who ensures that the book reaches the readers. From grooming the author's profile to exhaustive blog tours, Inkspell stands by the author in every step. Impressive book covers: Book covers sell. There’s no argument there and we have that covered. Inkspell Publishing books will be adorned by high-quality, impressive book covers that are bound to attract readers. High royalties: We offer 40% net royalties on digital copies and 8% on print copies, higher than most publishers. Our 2012 schedule includes 20 releases with focus on building our brand as a dependable publishing house of high quality, engaging books. In return, we expect: Polished manuscripts of gripping tales, web presence and author's active involvement in each stage of publishing. That is not much to ask, right? Looking forward to your views and support. And hey, if you have any particular wishes when it comes to books, we would love to hear from you.